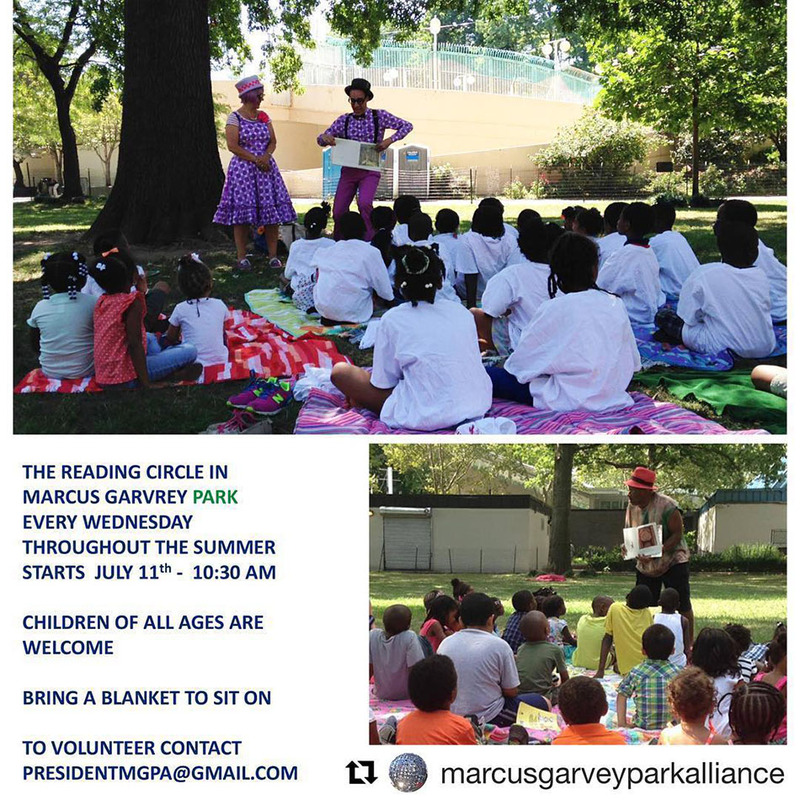 The Reading Circle in Marcus Garvey Park is one of the many wonderful summer gatherings presented by Marcus Garvey Park Alliance. While you’re in the park, check out the three Little Free Libraries, the art installation ~ Atlas of the Third Millennium on view to October, and eight new art installations entitled, Maren Hassinger: Monuments. Stay tuned for the return of the historic Harlem Fire Watchtower.